I’ve been travelling around the world since a very young age which made me meet a lot of different people and cultures. I have changed a lot on my journey, but the only thing that never changed is my passion for fun activities and sharing the experiences with other people. I do many sports like yoga, swimming, dancing, climbing, parkour as movement for me is like a meditation. We actually live in the moment of now only when we’re enjoying ourselves. 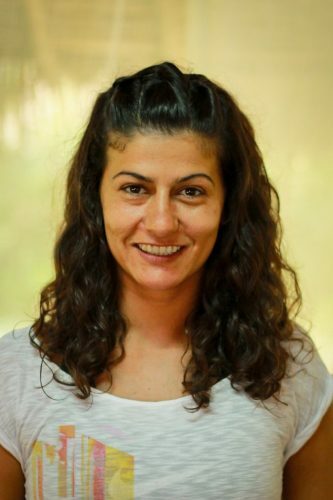 I met Acro Yoga in Dubai in 2013 and I was amazed by the connection that it creates between people by playing, trusting and comunicating with each other. Combining the ability of controlling your body of acrobatics and the relationship that you build with a partner, makes us learn a lot about ourselves and others, take care of our bodies and enjoy movement, which is what inspires me the most. I believe that every human being needs a joyful practice just because life is much more inspiring when you share it with others. I’m still travelling around the world, attending different courses and workshops to explore more about movement, bodywork, our own bodies and to share my passion with others.